Between 50 and 60 feet, we enter the family of ocean cruising boats offering volume, luxury and remarkable living comfort aboard, but remaining easy to handle by a family crew: the ultimate! 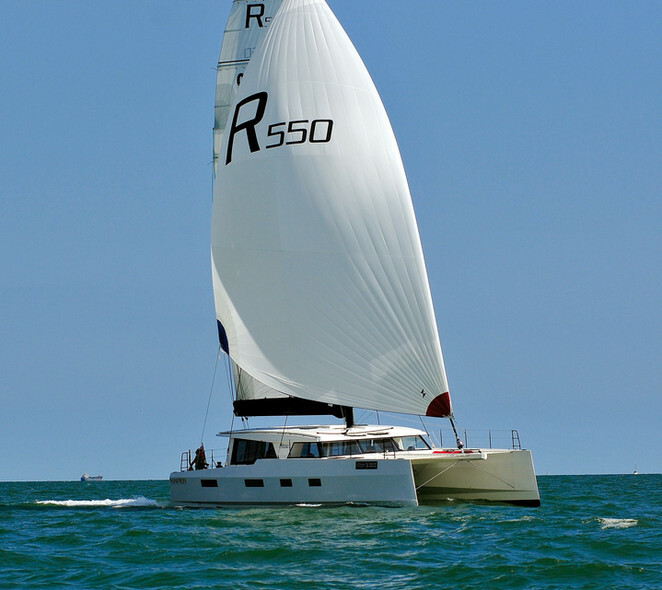 The new catamaran from Fountaine Pajot was the star of the fall boat shows. It must be said that although the overall lines are similar to the successful Sanya 57 and Hélia 44, the Saba 50 really is a new generation boat. Aboard we find several well-separated living areas, so that everyone can feel comfortable and enjoy the cruise to the full: there is of course the now traditional ‘lounge deck’, a genuine deck lounge situated on top of the bimini, designed and studied from the origin of the concept, so it fits into the lines as well as possible. 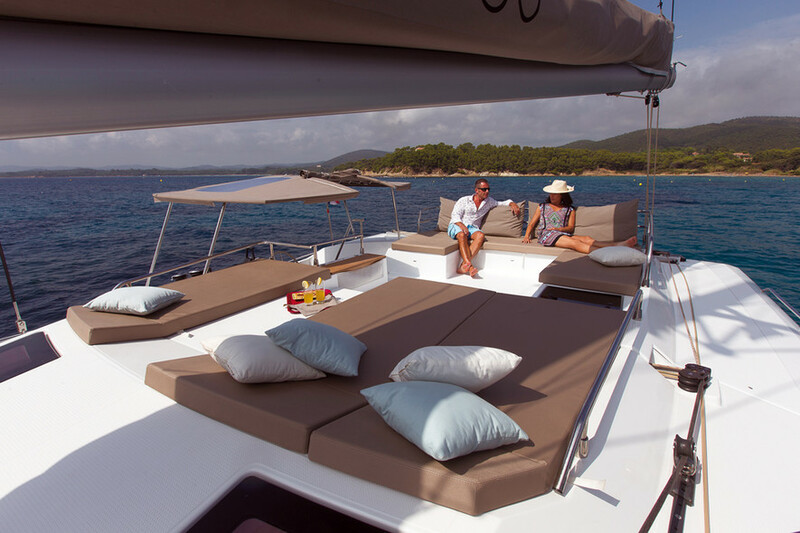 Up forward, the Saba offers a genuine lounge-sunbathing area, which is as pleasant to use at anchor as when sailing to watch the sunset... 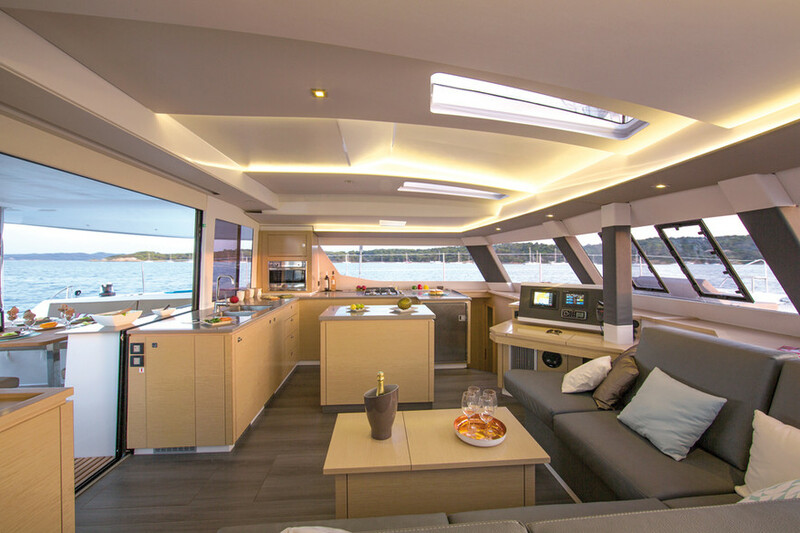 But it is inside that the Saba 50 is really surprising: the accommodation has been redesigned: the very nice galley with its ‘island’ will be particularly appreciated by the cook, while the cabins, especially the owner’s, offer comfort, stowage and light. We particularly appreciated the original and practical treatment of the bathrooms. 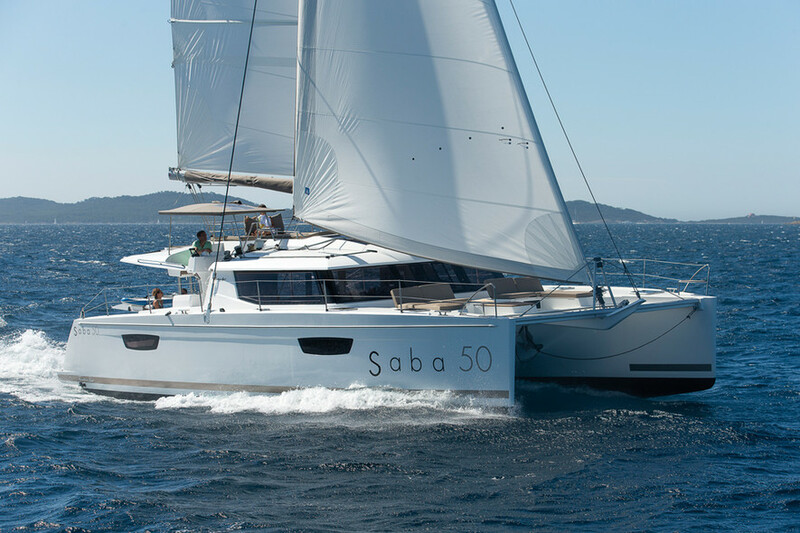 The full test of the Saba 50 can be read in this edition of the magazine. 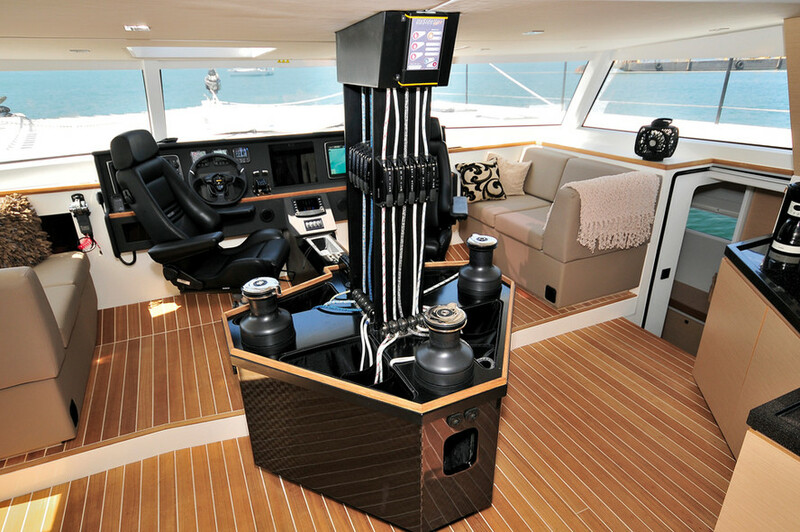 This resolutely modern catamaran was designed by Dazcat Designs, and has a clear aim: performance and comfort aboard! To achieve this, Darren Newton (the architect) has pulled out all the stops, with an interior steering position and all the control lines led inside, an out-of-the-ordinary design and a nice interior volume which has been entirely redesigned. Under sail, the Rapier 550 swallows up the miles at a speed of between 15 and 20 knots in remarkable comfort... In light weather, the catamaran approaches the speed of the wind! This boat, designed by and for enthusiasts, will allow you to experience all your wishes. Gunboat has just presented its latest boat at the Annapolis show, with this particularly attractive 55-footer. A boat which is intended for long-term cruisers, as well as lovers of regattas, as are all the boats in the range. The major new feature is the management of the living area aboard: the traditional salon-cockpit forms just one and the same space, protected by the rigid bimini and a clever removable protection system. The helm position is situated at the front of this area, to which all the control lines are led. The Gunboat is being offered in three accommodation versions, which can be customized.